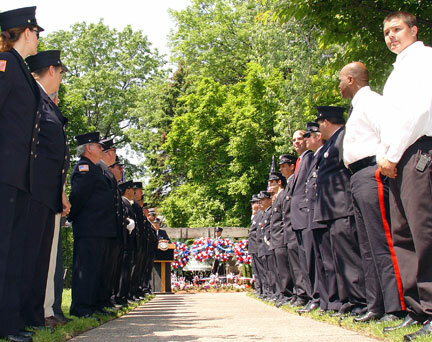 Following the Veterans ceremony, the parade continued along Passaic Avenue to the Firefighters Memorial at The Circle for a brief service. 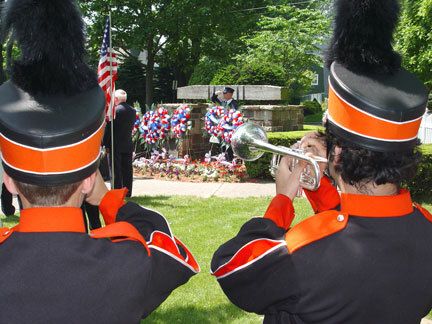 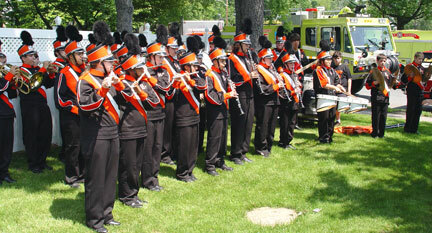 The National Anthem was played by the Hasbrouck Heights High School Band. 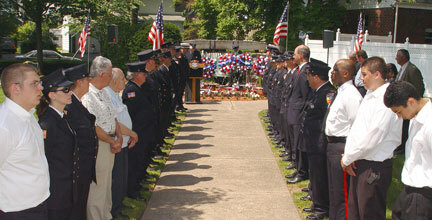 Fire Department Secretary Thomas Rubino, said the invocation. 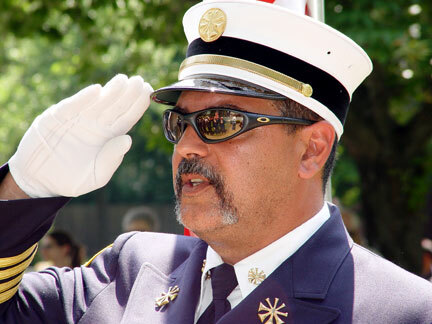 Mayor Ronald R. Jones, Fire Commissioner Thomas Meli and First Assistant Chief Angelo Roccamo, made comments. 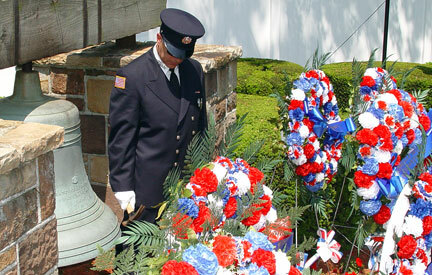 Fire Department Secretary Thomas Rubino read the names of deceased firefighters -- with the tolling of the Memorial Bell. 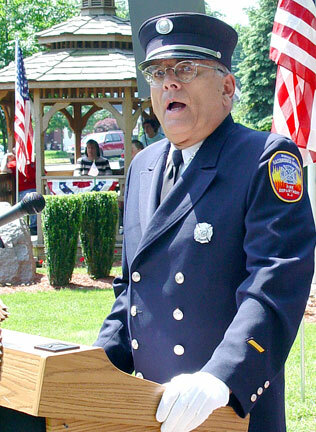 Fire Department Secretary Thomas Rubino made opening remarks. 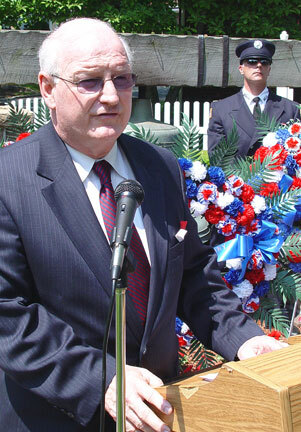 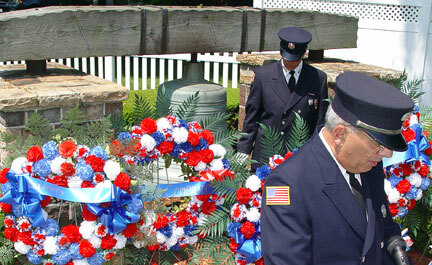 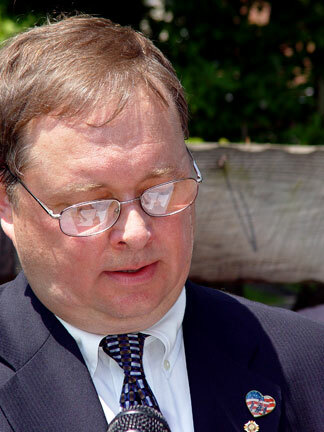 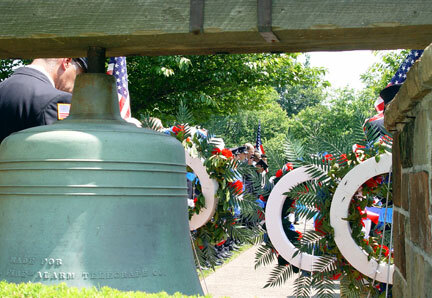 The bell sounded as Fire Department Secretary Thomas Rubino read the names of deceased members.